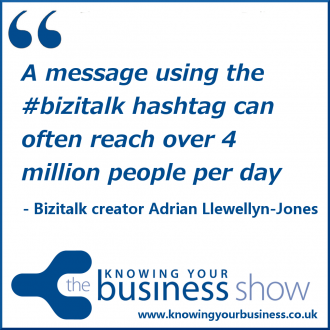 Adrian Llewellyn-Jones talks about the phenomenon he caused using the #bizitalk hashtag on Twitter. After only 12 months of launching the hashtag #bizitalk it had achieved over 35,000 followers. 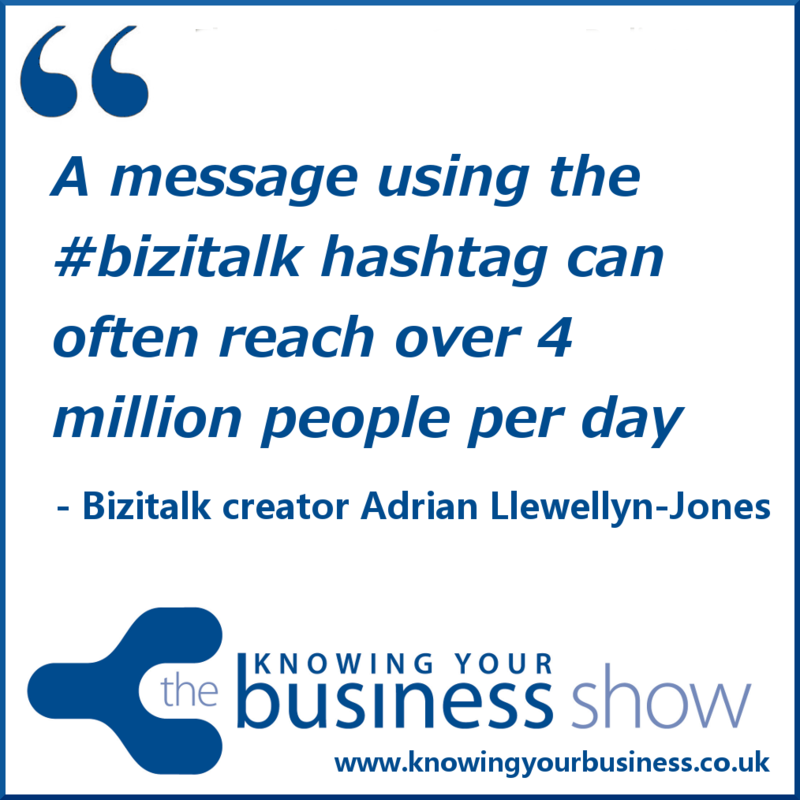 A message using the #bizitalk hashtag can often reach over 4 million people per day with over 30 million timeline deliveries bringing together businesses from across the globe and can be found trending regularly in the UK. This little snippet Adrian explains the what a hashtag on Twitter is. Find out. If you have any questions for Adrian or would just like to leave a comment, please do.